the cooler weather in this new habitat can potentially increase the lethality of the insect's assault on trees, according to a new study from Dartmouth College. The research demonstrates how climate change can create a destructive, one-two punch for forests that are already under attack, and another mechanism by which weather can influence the abundance of insect pests. 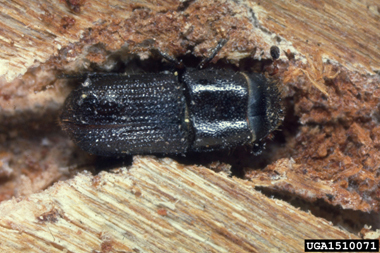 In the study, the Dartmouth research team shows how the colder fall and winter temperatures encountered in northern latitudes influences the growth and development of immature southern pine beetles, leading to a more synchronized emergence of adults once the weather warms.